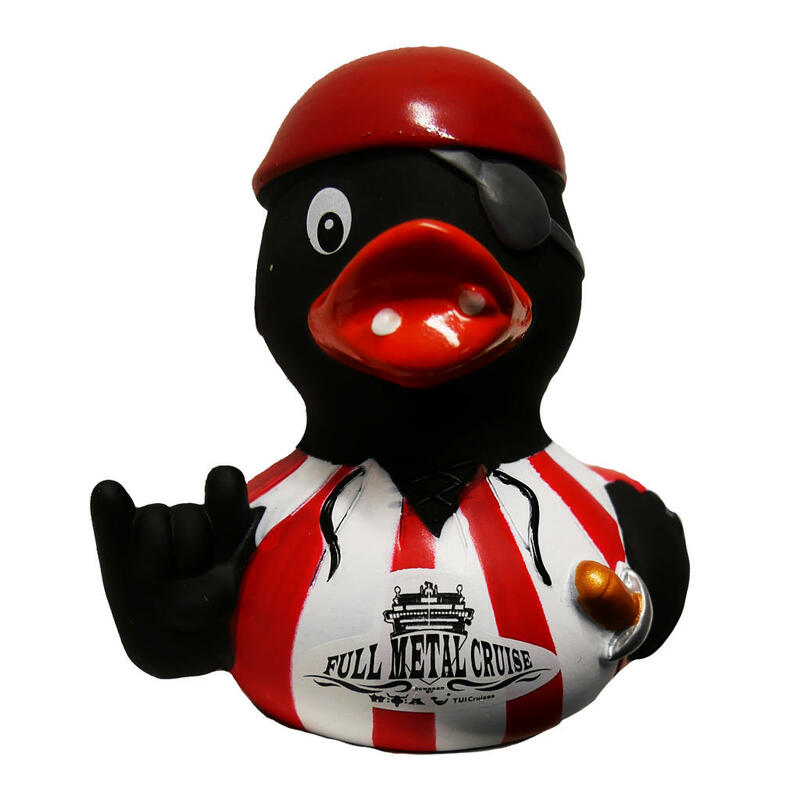 The appropriate accessory for the Full Metal Cruise is this friendly contemporary: the FMC rubber duck. This faithful companion on the oceans as well as in your private bath tub ocean comes in our favourite colour black with an orange sprout, a white FMC logo on the chest and cool details, like the bandana, the "Pommesgabel", the striped shirt plus a sabre. Through gently pressing the duck made of non-toxic PVC, some classic squealing sounds resonate.